Take your kids on an amazing Safari Tour in Africa! Lions and tigers and teenagers – oh my! This South Africa Family safari gets the blend just right and takes the fuss out of travelling Africa with kids. Family-only and specially designed for teenage families, this outdoor adventure takes you kayaking, cycling, driving, camping and wildlife-watching in South Africa’s most famous national parks and game reserves. Camp and cook in comfort alongside other like-minded new friends. A safari like this is a bucket-list headliner. So pack your binoculars – you’ll want to see everything you can! Start/Finish time: This trip starts at noon on Day 1 and ends at approximately 3pm on day 12 at Johannesburg international airport. Please do not book any flights until after 8pm. South Africa is the ideal introduction to a fascinating and diverse continent. One of the safest and most family-friendly African countries, a guided tour in South Africa makes its wildlife, scenery and culture easily accessible. Top hits include the big game of Kruger National Park, the photo-worthy Bourke’s Luck potholes at Blyde River Canyon and the crystal blue waters of Kosi Bay lagoons. Keep your eyes peeled and your minds open and you will encounter a sometimes sobering but fascinating national story. Designed to suit intrepid teens, this tour offers a varied, energetic itinerary ticking off South Africa’s best. The bike tour of Soweto is a confirmed family favourite, as is the chance to learn local crafts such as bone-throwing or dancing in a Zulu village. Camp in some spectacular locations, including in a lantern-lit site in Hlane beside a waterhole frequented by elephants and rhinos. Shift into a different gear at Kosi Bay and enjoy swimming and kayaking in the beachy lagoons, then take a treetop canopy tour at Blyde River Canyon. And of course, there are the game drives. Go full safari mode in Kruger, Hluhluwe-iMfolozi and Hlane in Swaziland. Sawubona! Welcome to South Africa. Your trip begins with a welcome meeting at 12 noon. Afterwards, head out on a 2 hour cycling tour of Soweto – an exciting opportunity to get an insight into contemporary life in South Africa. You will cycle to some of the most interesting historical sites around Soweto. Visit the formal migrant workers’ hostel and be introduced to conditions of male mine workers and meet the families that live here today. Cycle through the vibrant community of Meadowlands, and continue to the Hector Pieterson Memorial, the historical landmark of the 1976 student’s uprising, proceed to the famous Vilakazi street where Nelson Mandela used to live. There will be the chance along the way to visit a market or shop to stock up on any supplies you might need for the next few days. There’s WiFi available at your accommodation (the first 30 minutes are free). Note: If you do any exploring on your own today, be sure to get local advice on where it is and isn’t safe to walk, especially in the evening. The level of crime here may be higher than what you’re used to, and doing a bit of homework can significantly reduce the risk. Today is a travelling day. Depart Johannesburg early this morning and travel into the heart of KwaZulu Natal (560km/350miles – approximately 9 hours). Here you will camp at an eco-lodge just 20 kilometres from Hluhluwe–Imfolozi Park. The park is home to some amazing wildlife, including lions, elephants, leopards, giraffes, buffaloes and wild dogs. At our camp, you’ll have access to a fully stocked communal kitchen, gas stoves, kitchen utensils, a fridge and freezer, a braai (for grilling) and a campfire area. Camping guests are more than welcome to use the swimming pool, bar and restaurant in the lodge. There are also showers, wash basins and toilets available. With the group’s assistance, your crew will prepare meals, and the group will help with washing up. The tents are 2 x 2 metres across and 1.7 metres high. Embark on an adventure through the oldest proclaimed game reserve in South Africa. While you’re here, you’ll have the chance to see some of the ‘Big Five’ game – African elephant, black rhinoceros, Cape buffalo, African lion and African leopard. There will also be a good chance of spotting the white rhino, as Hluhluwe-Imfolozi has the largest population of these near-threatened creatures in the world. A series of conservation efforts has saved them from extinction and their population is once again on the rise. The park also boasts some 400 species of birds, including the African finfoot, bat hawk and white-backed night heron. It is approximately a 40 kilometre drive from our overnight camp to the gate of the park. Leaving just after breakfast we spend the whole day in the park. With a picnic lunch along the way, the day will be full of animal watching. Depart the game reserve in the morning and visit a Zulu village with a local community guide. Then, travelling northeast to the coast, visit the beautiful Kosi Bay Nature Reserve (160km/100miles – approximately 5 hours including time spent at activities). The location of the bay is amazing. On the one hand there is picturesque jungle with wild figa and monkey orange trees, and a grazing area for hippos; on the other, a mangrove and coral reef that’s teeming with aquatic life. Your accommodation, Kosi Bay Lodge, will be in comfortable log chalets. Enjoy a night under the stars as you relax around the campfire. 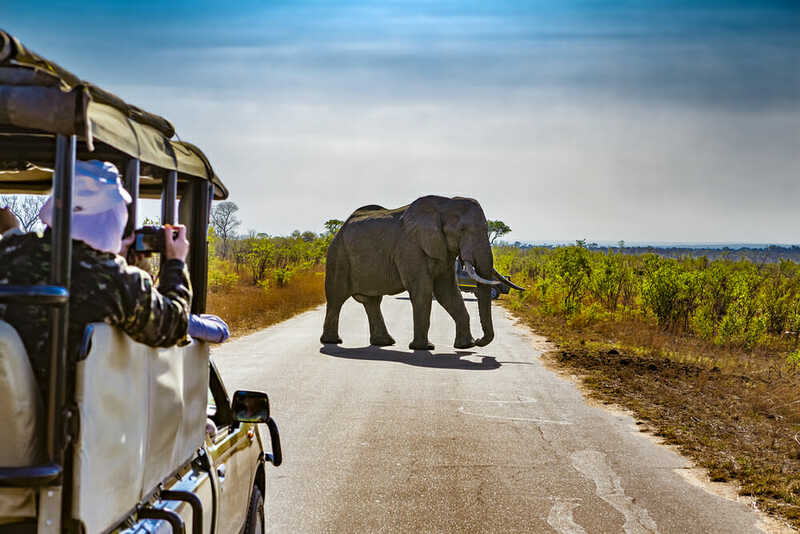 Driving north, you will reach the small land-locked kingdom of Swaziland, and Hlane National Park (220kms/135miles – approximately 6 hours depending on border crossing). At some point today you’ll be able to visit a market or shop to buy anything you might need. A vast expanse of bushveld and its ancient hardwood trees make Hlane Royal National Park home to the largest wild herds in Swaziland. Your camp is spacious and has plenty of tree coverage, making for a nice spot to relax and be greeted by the odd inquisitive impala, warthog or nyala. If you’re feeling adventurous, book a guided mountain bike trail, bird walk or game drive and explore the greater Hlane area. In the absence of electricity in Ndlovu Camp, the area is romantically lit at night with candles and parafin lanterns. It’s also within easy reach of Ndlovu’s semi-open-air restaurant and floodlit waterhole. Hlane Activities Center, a braai/barbeque area (with firewood provided), communal kitchen, and hot showers are all available. Explore Hlane National Park on a game drive. This park used to be a private royal hunting ground, which gives you some idea of its calibre as a wildlife-viewing destination. It is Swaziland’s largest park, spanning an impressive 30,000 hectares. Landscape-wise, it’s a flat lowland area with some grasslands and shallow pans. There’s a great chance of catching sight of Wildebeest, zebra and impala, especially in the drier months. Notably, cheetahs were reintroduced to the park relatively recently. The park also has an abundant and diverse array of birdlife, boasting the highest density of nesting white-backed vultures in all of Africa. Crossing back into South Africa, journey to Kruger National Park – one Africa’s very best wildlife arenas (130kms/80miles – approximately 4 hours). Enjoy further explorations of Kruger. You will embark on a second game drive today, hopefully spotting some animals you didn’t cross off the list yesterday! One of the largest game reserves in Southern Africa, Kruger National Park boasts more than 500 bird species, 100 reptile species and 150 mammal species. The big five and the endangered African wild dog are no exceptions. Depending on the areas you visit, you’ll have the chance to see some exotic birds along the way, from the tiny bronze mannikin to the more conspicuous ostrich. Keep an eye to the sky where, if you’re lucky, a giant eagle owl or martial eagle might be soaring. Today’s game drive will be in our overland truck and will be a full day in the park. TO NOTE: On occasion, especially during the peak months and school holidays of May, June, July and December we are unable to secure campsites within the Kruger National Park. In this instance we will camp in a bordering camp ground. Today we set off to visit parts of the Blyde River Canyon, including the three rondavels en route to Graskop (120kms/75miles – approximately 6 hours). One of South Africa’s most spectacular attractions, Blyde River Canyon is the third largest canyon in the world, and probably the greenest. It’s an excellent place for walking. The sheer-sided walls of the canyon rise over 2,000 metres and the vegetation varies wildly, from dry rocky sections to rainforest, depending on the altitude. You will explore the stunning Bourke’s Luck Potholes, where shadowy rock formations take on different colours and shadings in the changing light. Enjoy a morning of free time before returning to Johannesburg (410km/255miles – approximately 7 hours). Your trip comes to an end upon arrival at Tambo International Airport in the afternoon (usually between 2pm and 4pm). If you prefer, we can also drop you at the original joining point location. Please advise your booking agent before you depart or your leader during your welcome meeting on day 1. Please do not book any onward flights until after 8pm this evening. Need flights or more information? Call us on 1300 404 100. From Sydney / Melbourne /Brisbane to Victoria Falls, flights are mainly operated by South African Airways and Qantas. From Johannesburg to Sydney, direct flights are operated by Qantas Airways. From Johannesburg to Melbourne / Brisbane, flights are mainly operated by South African Airways and Qantas. Call 1300 404 100 for more details or help booking flights. the country to temperate in the interior plateau and subtropical in the northeast. Although located in the tropics, temperate conditions prevail all year round in Zimbabwe as the climate is moderated by altitude and the inland position of the country. Botswana has mainly a temperate climate with average temperatures of 30 degrees. Call us on 1300 404 606 and quote Family10 for a 10% discount. Please refer to the ‘HOLIDAYS INCLUDES’ section. If you are unclear, please don’t hesitate to contact us on 1300 404 100for more details. We at Family Travel are fully licensed travel agents and are able to arrange flights to any destination. Call us on 1300 404 100 to get a personalised quote. Once your Family Travel Voucher has been purchased you will be contacted by a member of the Family Travel Reservations team. Family Travel will work with the tour operator to get you booked onto your preferred travel dates. 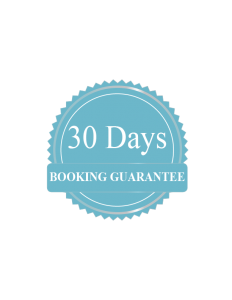 If for any reason we are unable to book you onto your preferred dates please refer to the Family Travel 30 Day Booking Guarantee to understand our refund policy. When booking into your travel dates, make sure you have your travel voucher number, traveller names and details of any special requirements. The Family Travel team will send an email to you confirming all of your booking information. If you have not received your voucher within 24 hours contact Family Travel on 1300 404 100 and we will resend your voucher by email. Terms and conditions for each product can be found in the fine print of each booking. Full details on the terms and conditions can be found on the link below. What’s your celebrity holiday style?